Our mission is to provide the best service at the most affordable price! From the start, We set out to be the cutting-edge lock, key and security experts. All Area Locksmith was started with the intent to serve those in need of our skills. We are staffed with local, professional experts who have been serving the Tampa area for years. It is our goal to provide you with peace of mind knowing that you can count on us to provide responsible service at an affordable price with the fastest service times available. We show up to you, on location to get the job done well and right from the start with all of the proper tools, skills, and certifications necessary and guaranteed. We make ourselves available to you at your convenience to meet for consultations on security systems, key-less entries, or to get a price quote for a new lock install or whatever your lock or key needs require. We service all automotive, residential, and commercial needs. This means that we are ready to show up by your side when you have lost your keys, need a new lock installed after you have moved into a new home, apartment, or business, recommend and install security systems, garage door locks, and cut or program transponder keys on the spot. We want to establish a working relationship so that we become your go-to professional technicians. We want to be the ones you trust with all of your locking needs. That's why we make ourselves available to you anytime, 24 hours a day, seven days a week, and even on holidays and weekends. We will be here to answer the phone and show up at your location fast. You deserve the best and most trusted quality of workmanship when it comes to your locks and security. Because, we value your safety, we keep our skilled technicians up to date on training to offer you the best solutions to your security needs. 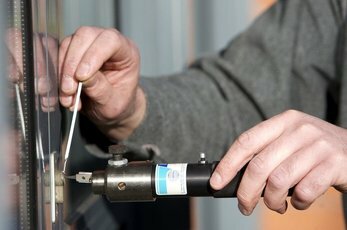 We also use state-of-the-art tools to equip our knowledgeable technicians so that you can be assured you have relied upon the best professionals for your security needs. We are local, which means we know the area and the people of the Hillsborough and Pinellas County area well. We understand the roads and byways and know how to get around town to get to you quickly in an emergency situation. Rely on us knowing that we would never dispatch a worker from a national call center when you are in need of fast, reliable help. We will continue to work to earn your trust and continue a sound business relationship for years to come. Your locks and keys needs are important to us. We understand that it is your locks that keep you and your property and belongings safe and secure and value you as a customer and as a person. That's why we continually strive to earn your trust and work to create one satisfied customer at a time! We handle all vehicle automobile needs and are extra helpful in an emergency to show up quickly to help. Call All Area technicians when you have problems with your car locks and don't know what to do. We are ready to send our 24-hour technicians to your location to help you out whatever your automotive situation entails. Maybe you’ve lost your keys, or your car doors won't unlock. Perhaps your car keys are locked inside, or your transponder key is failing to work. Our team of skills technicians are able to replace, repair, or reprogram your locks on the spot. Tampa, Clearwater, and St. Petersburg residents can rely on our fast response times to show up when you need an expert professional on the spot to help you get back inside your house when you have lost your keys, or when your key jams or breaks inside the lock. We come with the equipment needed to extract the key and make you a duplicate, working key right there on the spot. We offer residential services to replace or upgrade your house with high security locks at a price you can afford. If you’re tired of losing your keys, we will recommend and install the best key-less entry options for you and your family. Our team of experts also have all of your commercial needs covered. We understand the importance of keeping property or businesses secure. If you rent out apartments or own a company, you need a reliable expert. We handle safe locks, master key systems, electronic entry systems, and are there for you after a renter gets evicted or an employee quits or is fired to re-key or install new locks for safety purposes. We are also here to get you set up with the best locking systems that meet your needs from the start when you first move in to occupy new commercial building. Get to know us. The top-end staff at All Area professionals is a leader in the industry. We have become a trusted, knowledgeable, and valuable leader in the area because we value our customers and understand the importance of quality workmanship when it comes to automobile, residential, or commercial locks. Check out our prices, and talk with a technician from All Area today to get started on a safer and more secure future that is affordable and trusted for years to come.